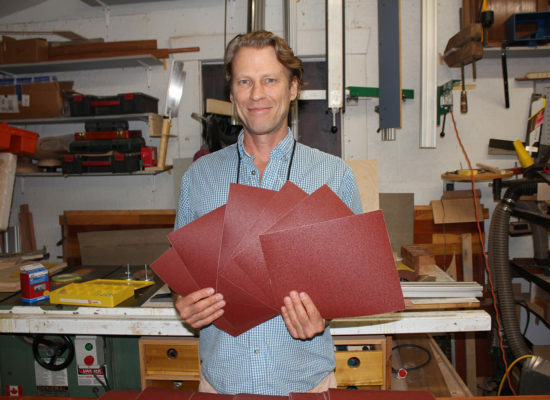 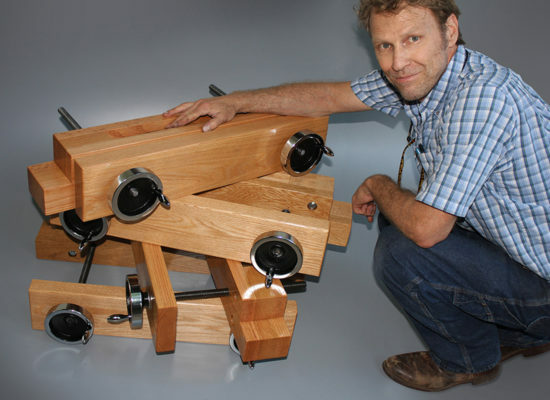 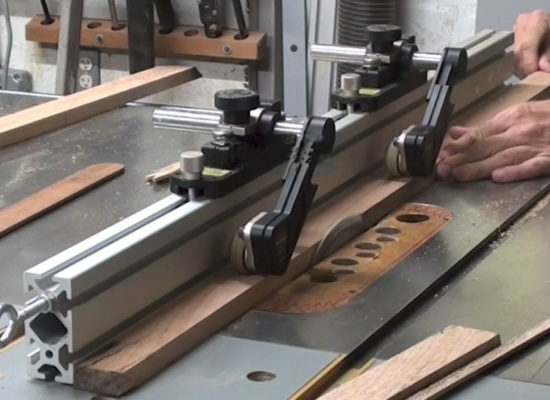 The VerySuperCool Fence System works with Cabinet Saws, Contractor Saws, Band Saws and Sliding Table Saws. 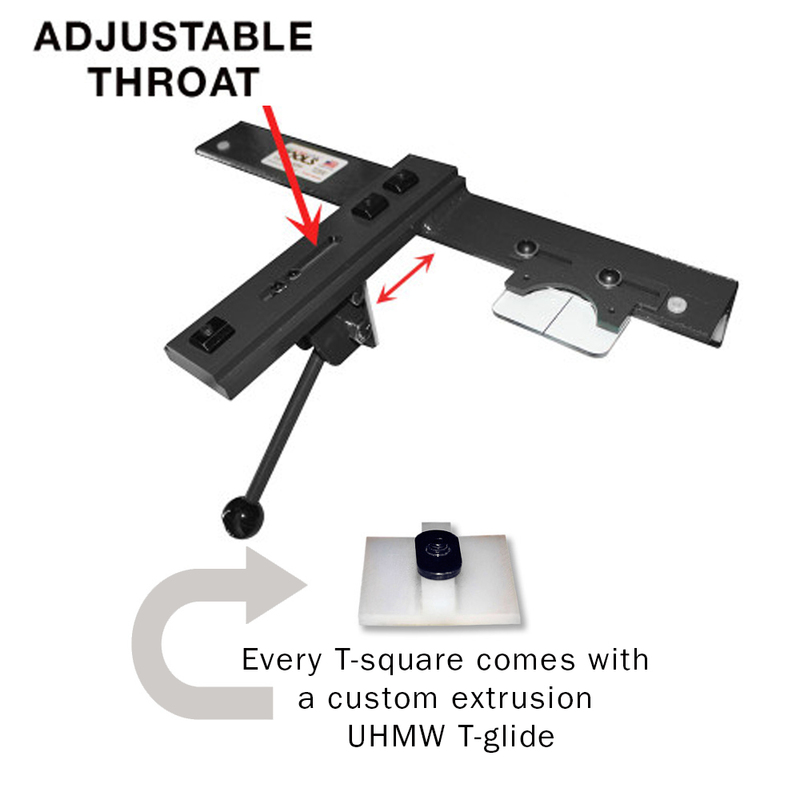 Pick from our Standard T-square that fits a 2″x3″ Biesemeyer style guide rail or one of our Adjustable or Euro-Adjustable T-Squares depending on what brand/style of table and guide rails you have. 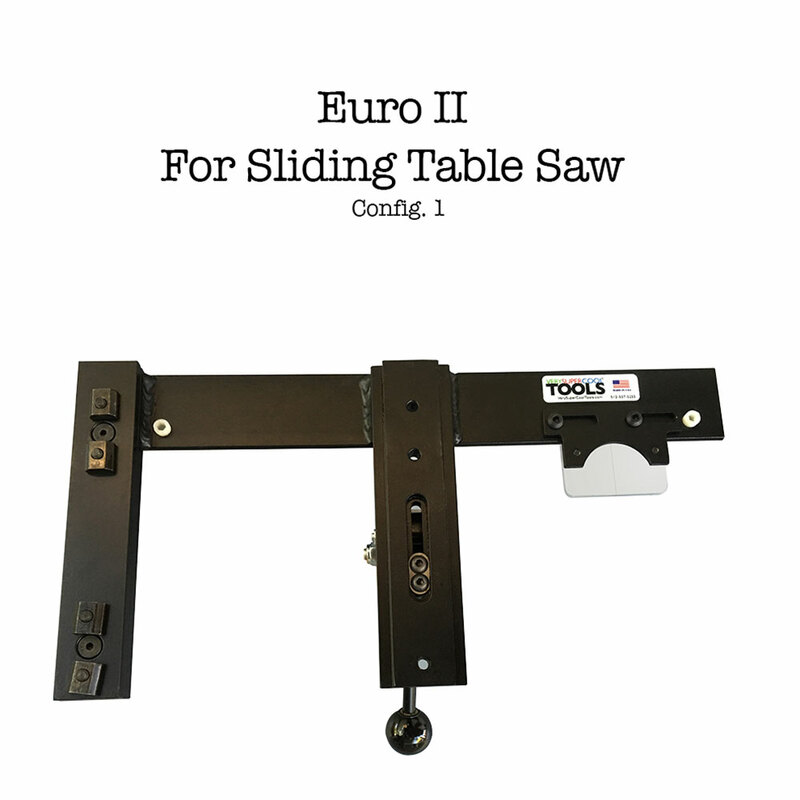 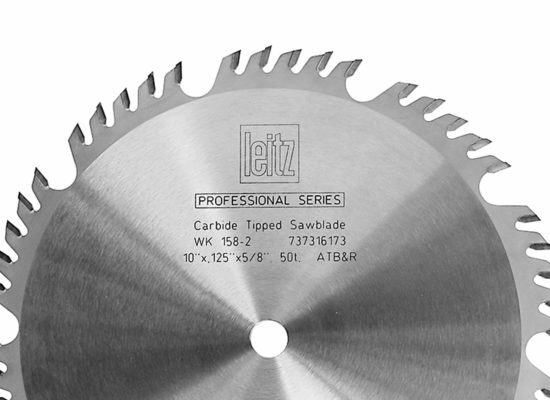 Our new Euro II Adjustable T-square will work with both sliding and traditional cabinet saws. 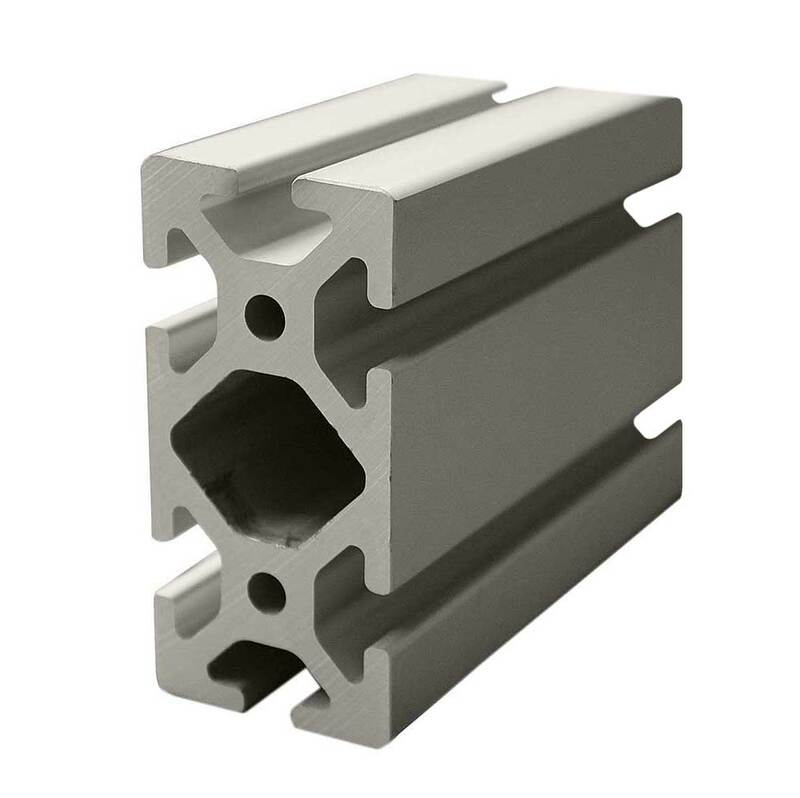 Attach one of our CNC machined aluminum extrusions in either the 42 inch or 48 inch lengths, and enjoy an awesome fence system. 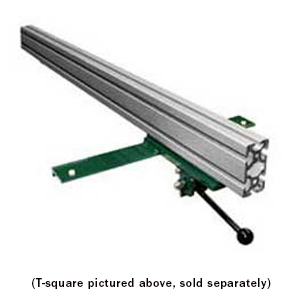 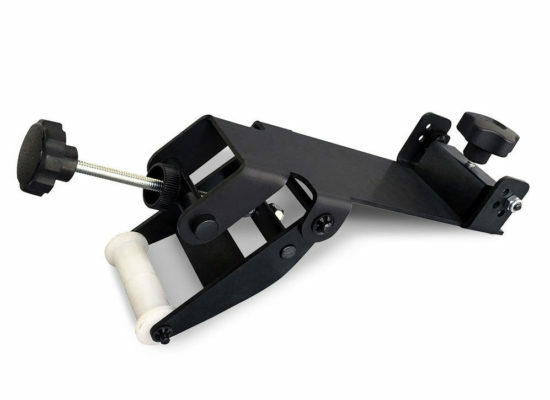 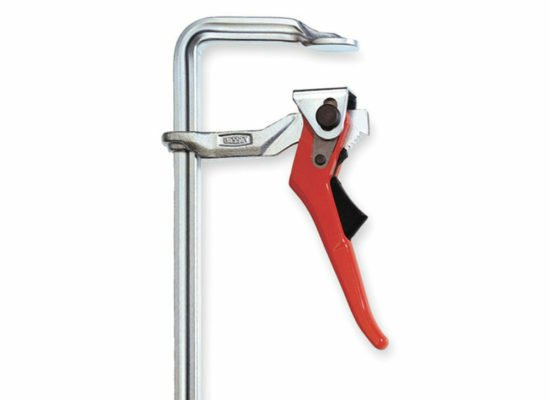 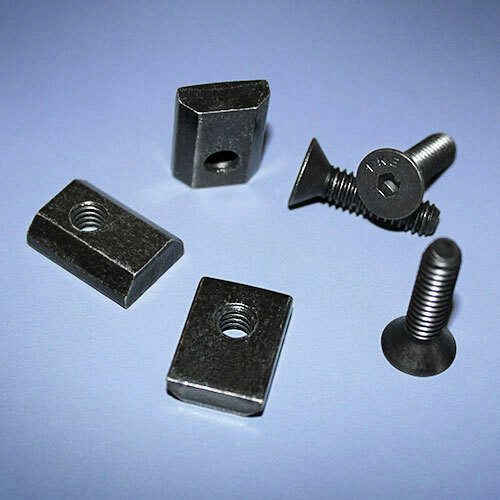 Our T-squares are designed to work on your existing guide rails. 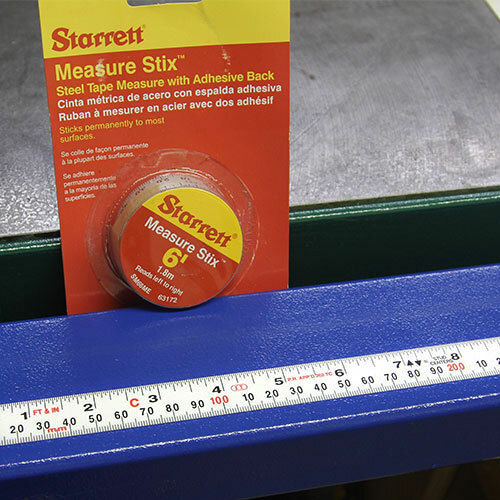 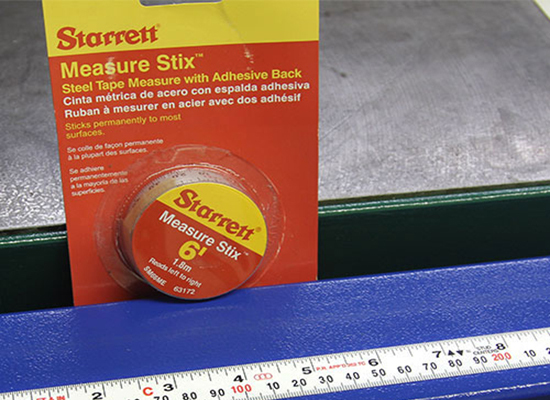 If you are in Europe, or have metric or odd size tubing on your table saw, the Adjustable T-square may be the answer for you. 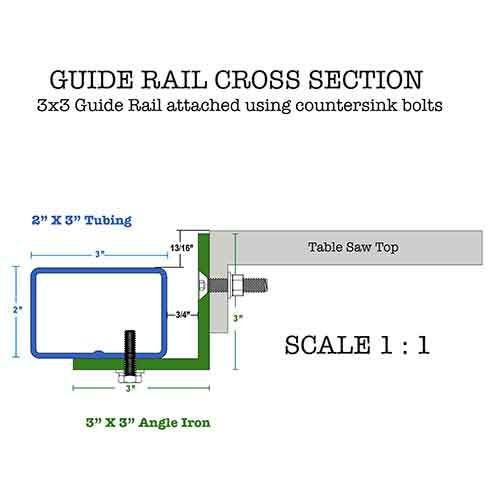 However you’ll need to take some measurements and check out our diagram to make sure. 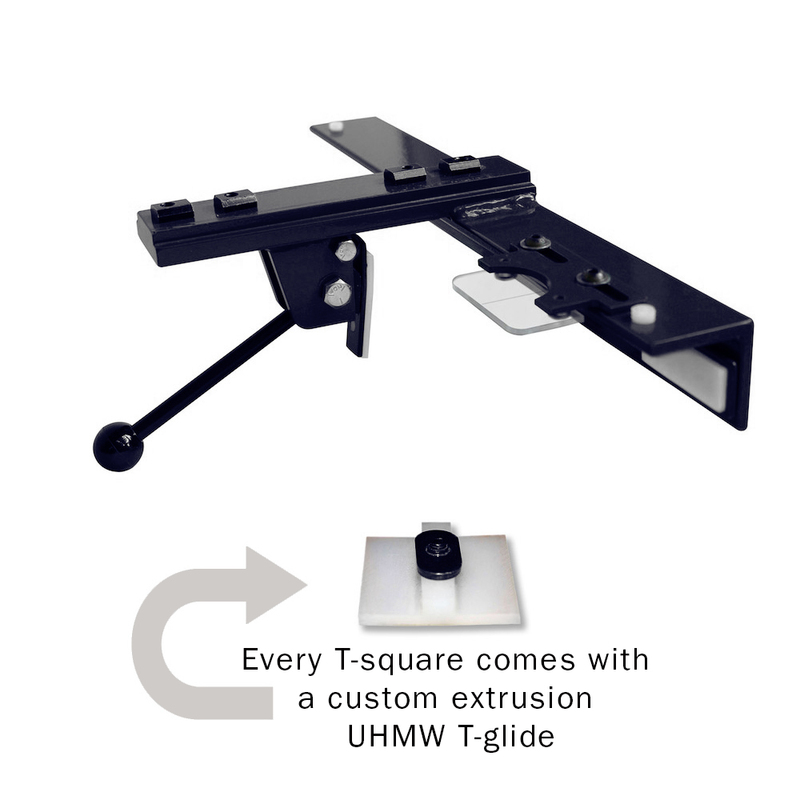 Otherwise if you are already using a Biesemeyer fence or have a Biesemeyer style guide rail system, the Standard T-square is your best option. 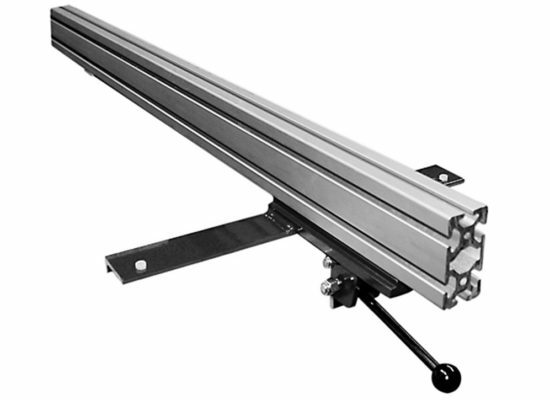 NOTE: We don’t sell guide rails, but if you don’t have a Biesemeyer style guide rail you can easily make your own. 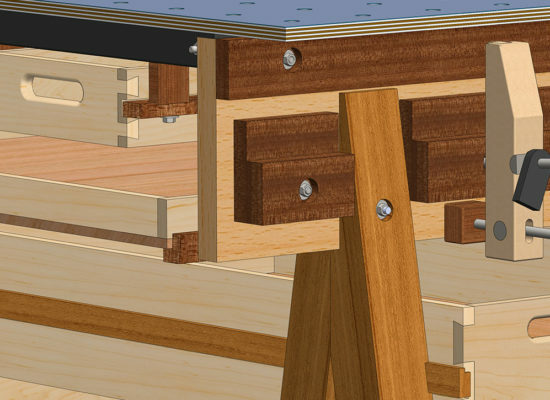 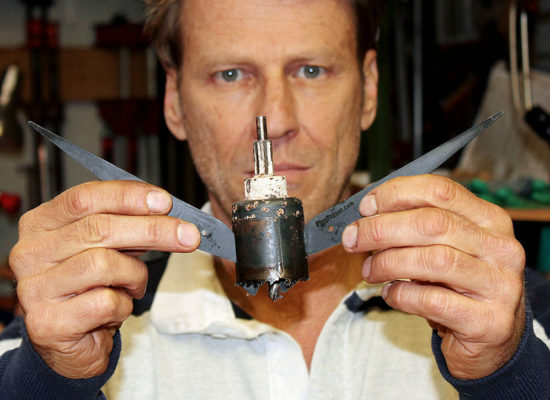 We have free downloadable plans and detailed videos showing all the steps. 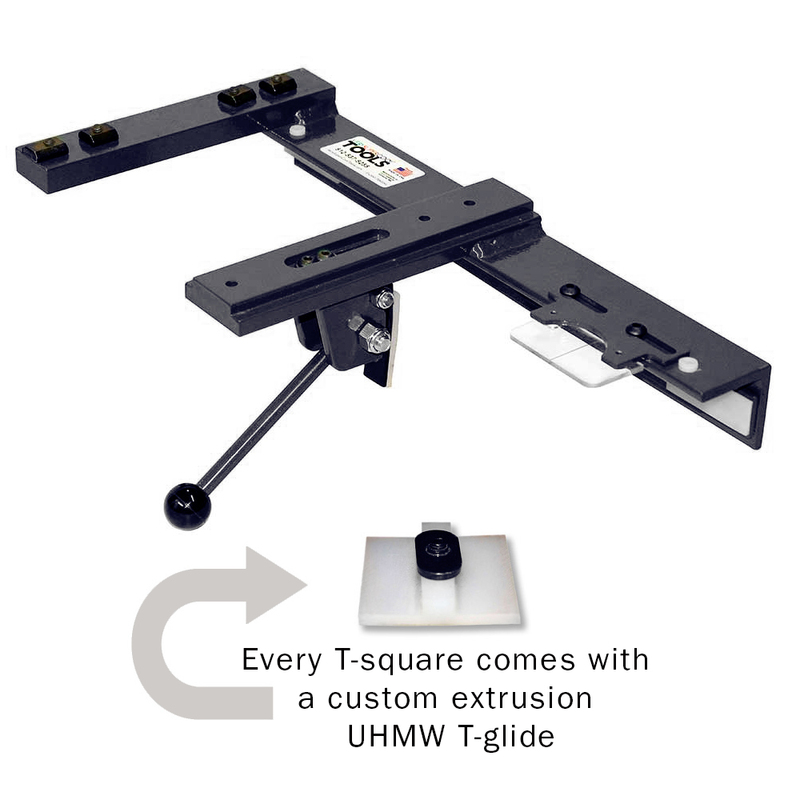 If you aren’t exactly sure which t-square is best for your shop, just give us a call!